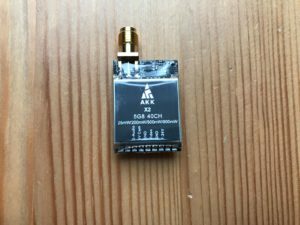 I recently received some further products from AKK Technology for review purposes. 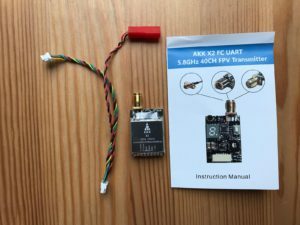 This article will focus on two VTX modules, the AKK X1 and AKK X2, as well as the AKK CA20 FPV racing camera. The development department of AKK Technology seems to have gone a little bit crazy over the last months, constantly expanding their FPV product portfolio. Today I would like to take a closer look at two VTX modules AKK offers at the moment. 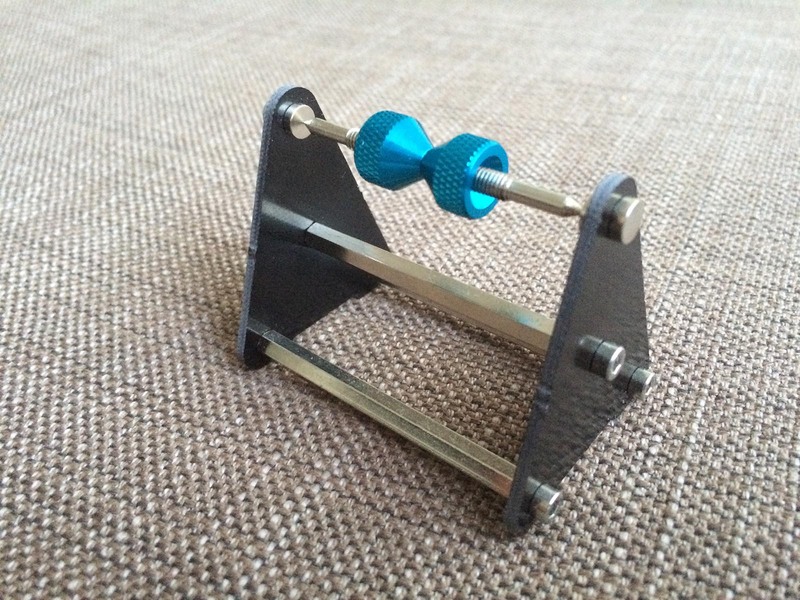 Both modules are standard sized and therefore meant to be used on racers anywhere from 180 to 280 mm. If you are looking for a suitable FPV module for your micro quad, you might find my review about all-in-one FPV modules helpful. 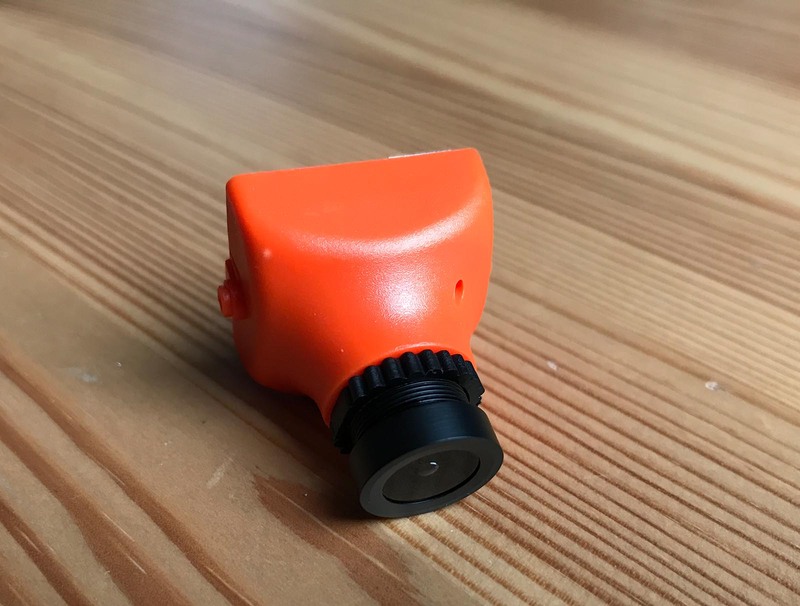 On top of that I have been provided with a sample of the AKK CA20 FPV camera*, which should be the perfect fit to either of the VTXs. Let’s go product by product to not confuse you. The box of the AKK X1 VTX* houses the VTX itself, a plastic dipole antenna as well as the required cable adapter. 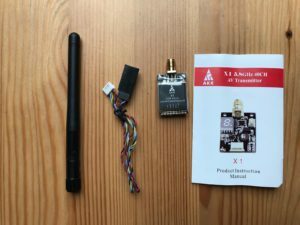 The AKK X2 only comes with the needed cabling, but no antenna. Both products also include a small manual to set up bands and channels. The CA20 camera* includes a mounting bracket plus screws, a cable adapter as well as a simple joystick to make changes over the included on screen setup menu. Of course, you also get a manual that tells you how to work with the on screen setup. *NOT all channels are legal to use within Germany! ** NOT LEGAL TO USE IN GERMANY! CAUTION WHEN SETTING UP! 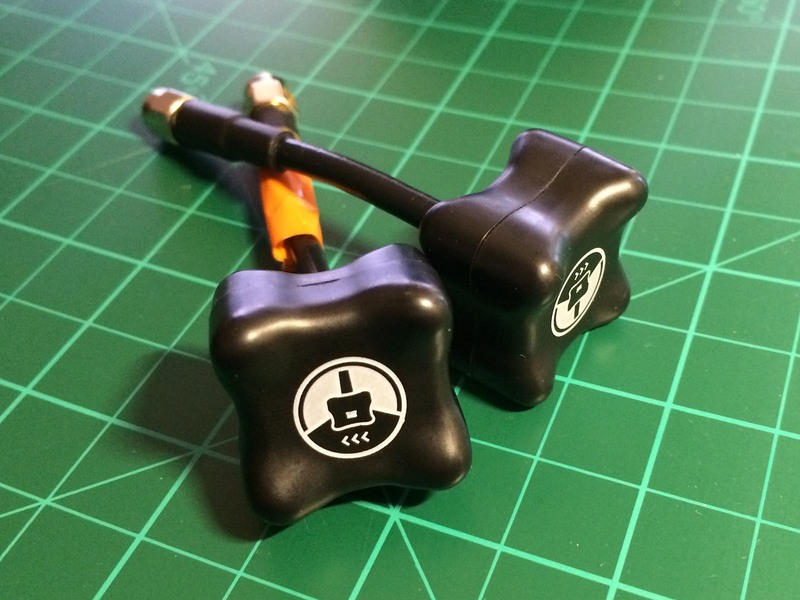 Both FPV VTXs enable the user to select different output power settings. 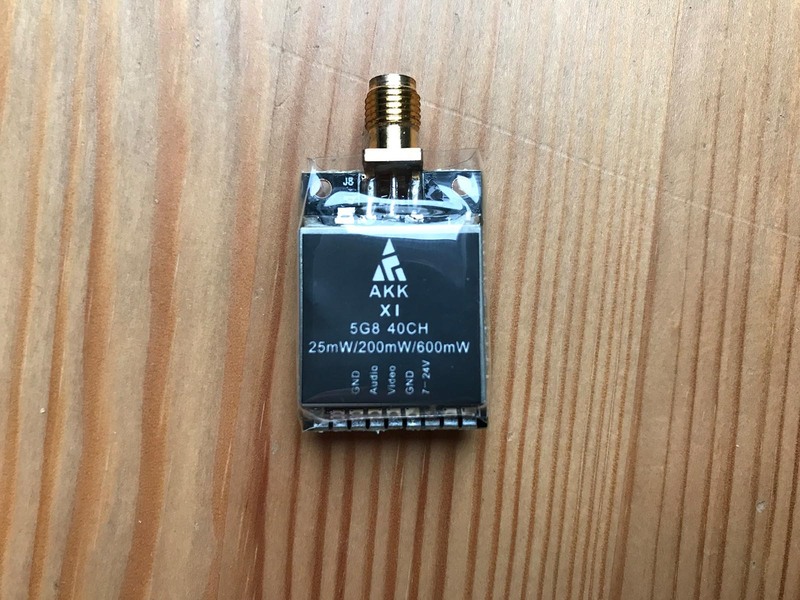 While the X1 maxes out at 600 mW the X2 even allows 800 mW of RF output power. Please keep in mind that 25 mW EIRP is the maximum allowed RF output in Germany on 5.8 GHz. Same goes for the channels and bands: make sure you are allowed to use them where you fly. The most VTXs provide the same 40 channels on 5.8 GHz, which is the case for the AKK X1 and the AKK X2, as well. Channel selection is quiet easy on both models. A one digit display in combination with one push button lets you adapt channel, band and output power. Setting are saved immediately and are restored after a power loss, of course. I found this setup procedure very reliable and easy to understand. You will need to carry the small band / channel table with you, when you are planning to change your settings on the field, though. 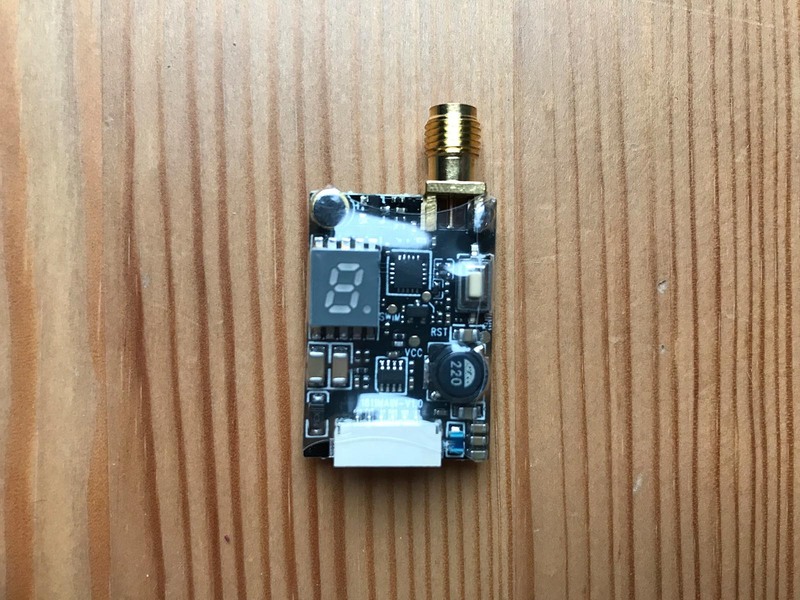 During use both VTX get quiet warm, so it might be a good idea to mount them on a place with at least a little airflow to not shorten lifetime unnecessarily. On 25 mW both VTX performed as expected. I used a circular-polarized antenna and got my usual range at my flying spot. I also tried different bands / channels to make sure the setup works correctly. I verified the correct setup with the on screen display of my diversity RX module* in my goggles. Using the camera is straight forward as well. Connect everything up and you are good to go. Changing settings in the camera OSD is a little bit trickier unfortunately. 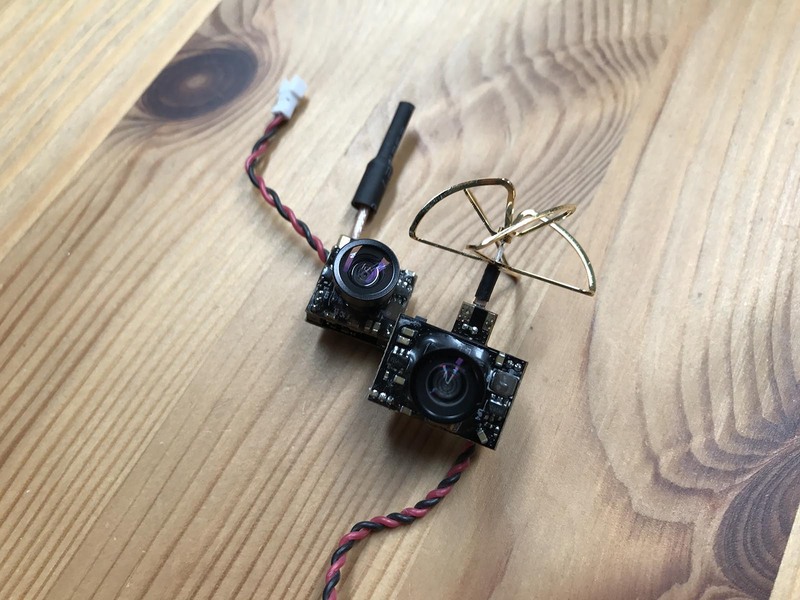 Other cameras provide a second connector for the setup cable (the one with the joystick) allowing you to leave the camera connected to your aircraft for power supply and video output. 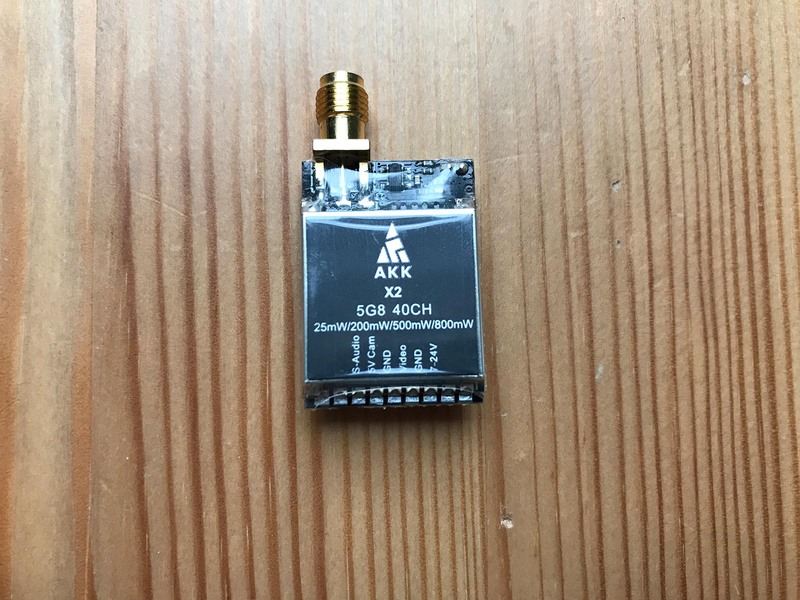 The AKK CA20* only has one connection port, which is fully populated by the setup cable once connected. This means you have to supply power externally through the setup cable over a dedicated banana plug. Same goes for the video output of course, which is send via a single RCA connector. Basically the AKK CA20 will need you to setup your cam on your bench and just stick to the setting on the field. I don’t think this approach is very practicable, but it works, too. 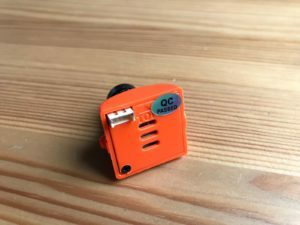 OSD options (WDR, etc.) are all available as you are used to from other Sony SUPER HAD II based cameras. Nothing to complain about here. All in all the AKK CA20 delivers nice and clear picture quality. I guess I received a non-IR-blocked model, as the low light capabilities are quiet decent, as well. Once more the products I have received by AKK Technology are of good value. 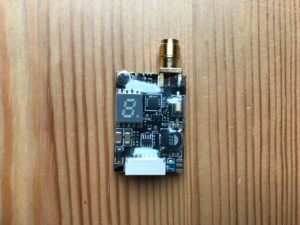 Both VTXs work flawlessly on 25 mW setting, nothing to complain here. The setup is easy and the overall build quality is great. 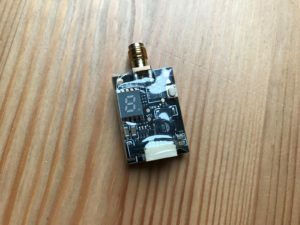 I like the fact that the AKK X2 includes a microphone and potentially allows access via UART*. I still have to play with this feature in the future, though. 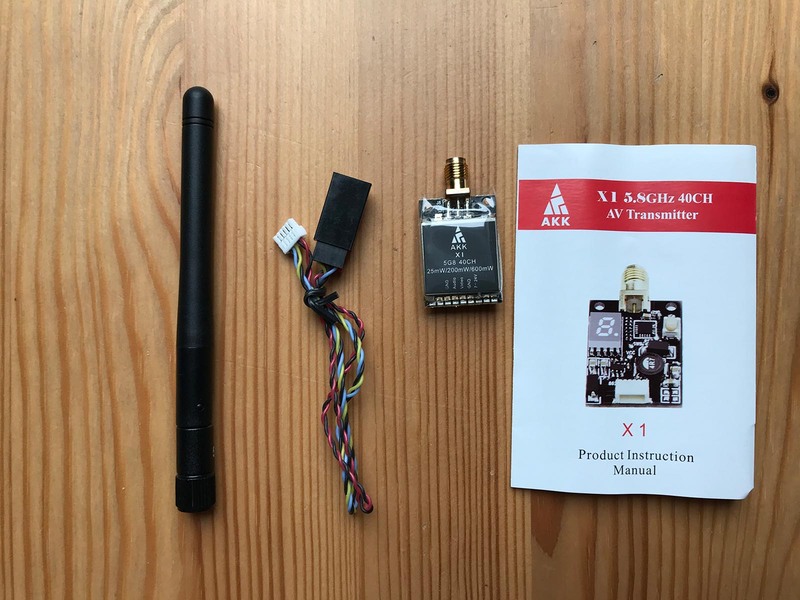 The AKK X1* is a solid VTX with no fancy features and works well for what it is designed. I wouldn’t use the included dipole antenna, though. There are better performing alternatives on the market (AKK sells them, too). The AKK CA20* leaves some mixed feelings. I like the design, the build quality and the picture the camera is able to produce. The wide voltage input is a plus for sure. I do not like how you have to access the OSD of the camera. There has to be a better way than needing a separate voltage supply / video input device to make changes to the camera’s config. 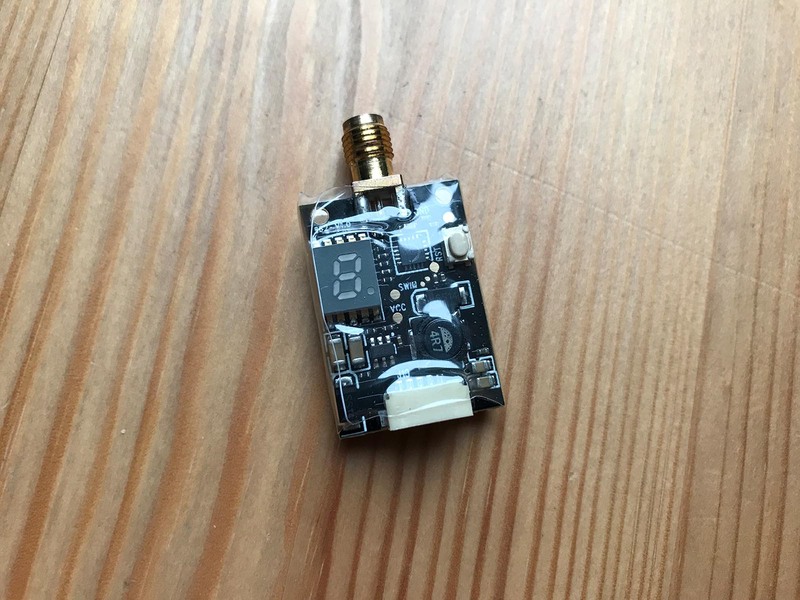 Indeed we know there is a better way: just use the already existing FPV connection, as other manufacturers do and provide an extra port to solely connect the OSD setup cable. In the end the CA20 is still great value, considering the price of 19 € for a very well capable Sony SUPER HAD II driven cam. 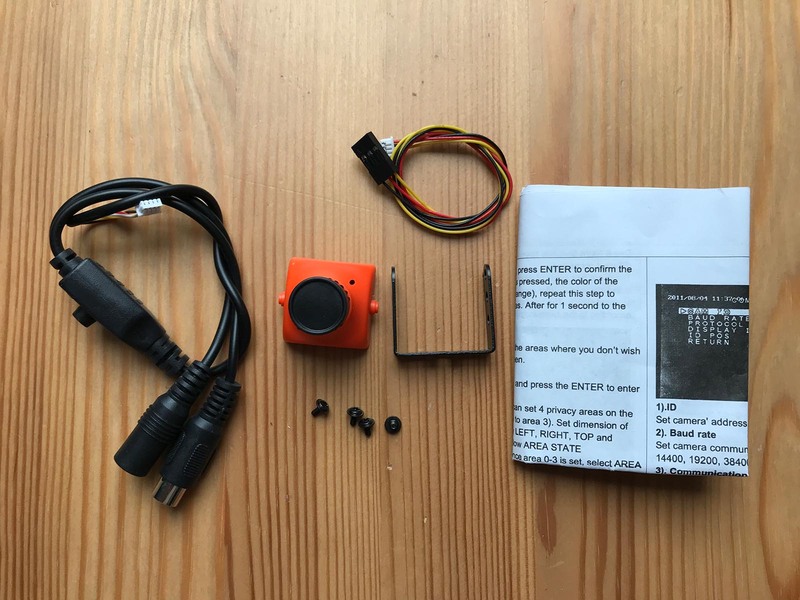 Talking about prices: The AKK X1* is sold for a little over 13 €, the AKK X2 comes with a 18 € price tag. Don’t forget that in most cases these are prices without custom fees and taxes.